For my birthday last week, I had planned on eating at one of my favorite restaurants, Osteria di Giovanni, with my friend Jill. In the end, we weren't able to go, but I kept thinking that I wanted to go there for lunch before I take off for the States. Another girlfriend of mine 'Annah, who is an artist and poet, wasn't able to make it to my birthday dinner at Canapone, so she invited me to lunch. I suggested Osteria di Giovanni because I really love it and also because she hadn't been there yet either. I am on the verge of going back to the US for a short trip. I have a lot to do besides my normal work, like finding presents for people back home, buying some clothes to wear, and getting my life in order before I leave. And, as with any trip out of Florence, all of my close friends want to see me beforehand. Because I'll be going to the US soon for a short visit, I decided to see if all of my paperwork for my Italian citizenship is in order. I tried to call Wednesday as it's the only day the man with whom I spoke to the first time is there. He didn't answer the phone all day last Wednesday, so I decided to just ride my bicicletta (bicycle) to the Prefettura (Prefecture) this morning. I have never in my life received so many rose a gambo lungo (long-stemmed roses) as I did today and in the picture I only show half of them. Alessandro had eighty four of them delivered to my apartment early this morning. The number is supposed to be my age times two plus another number. 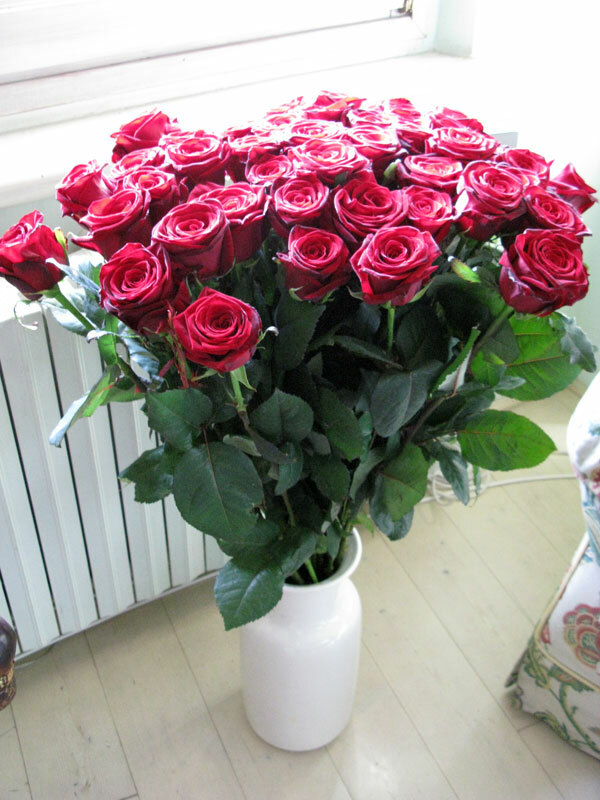 The fiorista (florist) told him that he shouldn't buy a number of roses that ends in zero, so he added four more. I have been wanting to go to a partita (soccer match) for ages. 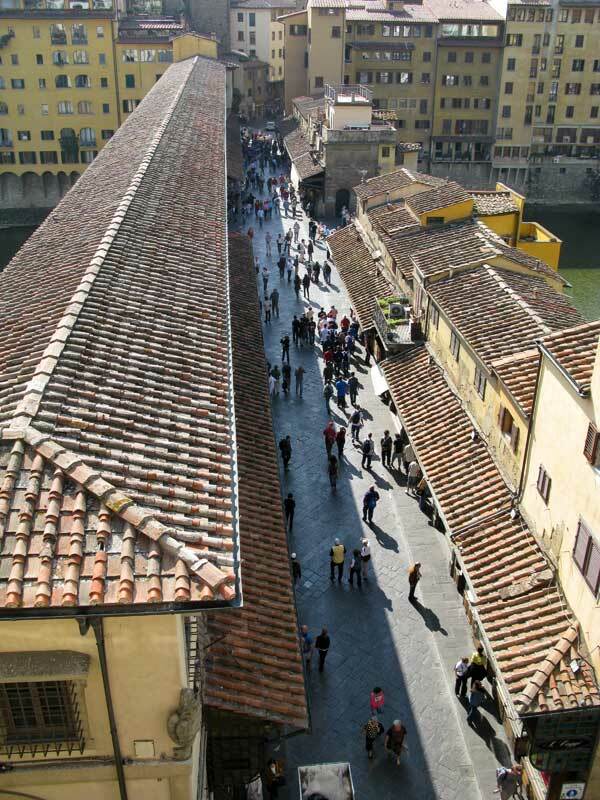 Living in Florence, I am of course a tifosa della Fiorentina (a fan of Florence's soccer team). How could I not be? 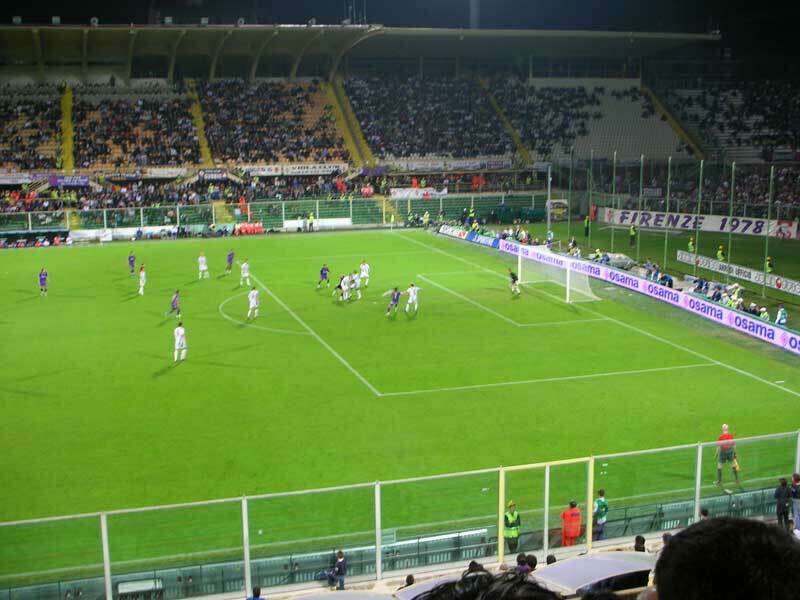 So, I was so happy when Alessandro called me to ask me if I wanted to go to the partita at the stadio (stadium) tonight. I love riding my bici (bike) and because the weather has been quite moderate, I decided to ride my bici to Sesto Fiorentino. I usually take the bus, but I figured it would be fun to take a ride out there. 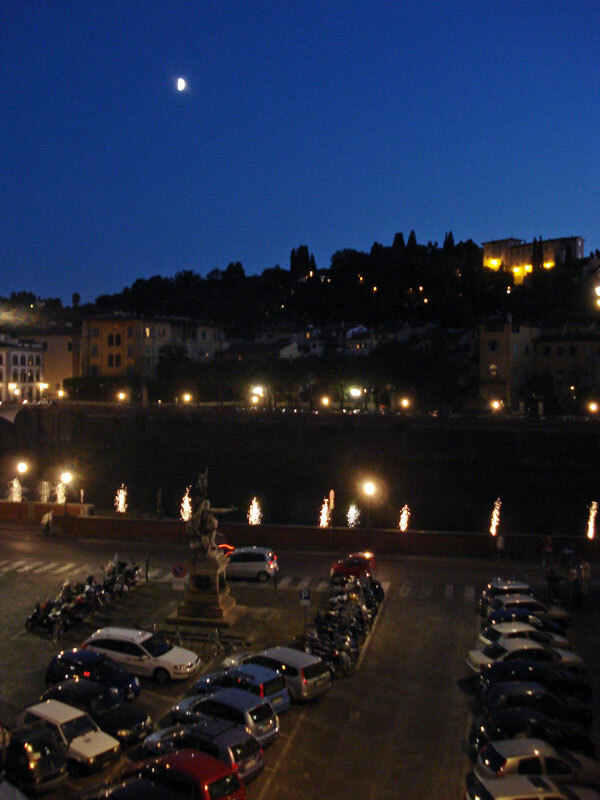 Alessandro told me that Sesto Fiorentino was given its name because it is six kilometers outside of Florence. It wasn't until I went on the Internet that I discovered that it is actually six miles from Florence. One of the biggest worries for anyone who lives here is how to continue staying here legally or how to stay here legally if he/she is here illegally. When I first moved here, I didn't dream that I'd fall in love with Florence after being here only three days. I didn't get a visa at that time because I initially planned on staying three months to study Italian. And when I arrived this last time in 2004, I came prepared with a visa to stay for a year. One thing that I usually love about Europe in general is that people let you sit and enjoy your meal. There are no waiters or waitresses pushing you to leave by handing you the bill while asking if you want dessert. I do love to have lunch with friends, enjoy the food, and talk about everything and anything. Today the tecnico (technician) came to work on the caldaia (water heater). The proprietaria (owner) of the house made the appointment and told me where all the documents were for him to look at, fill out, and stamp. Instead of having to pay the tecnico in cash after the appointment, she agreed to pay him by bollettino (bill). I prefer it this way as I hate to have to have a bundle of cash and count it out to the guy when he's done working. 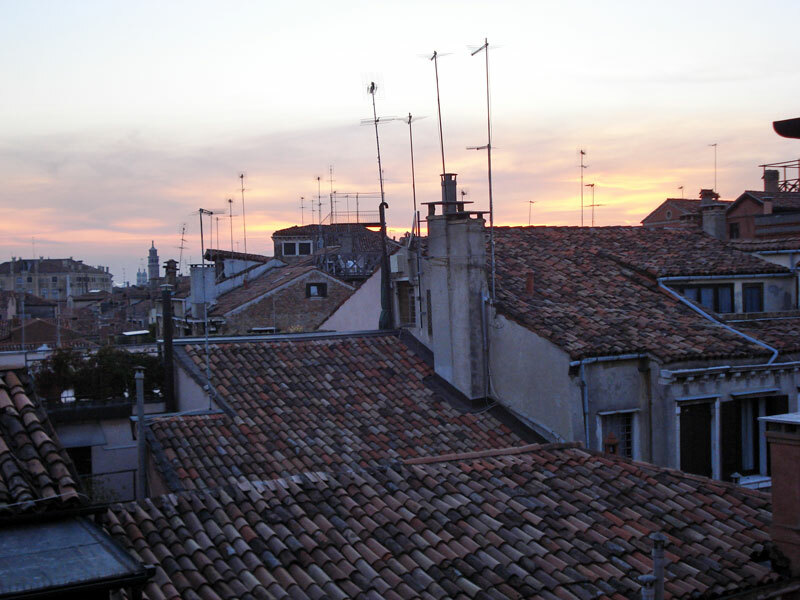 I woke up to a beautiful and clear day in Venice today. We didn't plan anything for the day, but instead decided to fare colazione (have breakfast) in a bar nearby and just walk around some more. With such wonderful weather, we couldn't help but want to get out and enjoy the day. Jill led me through many calle (streets) to get to a few shops and interesting places, like an art exhibition in a palazzo along the Grand Canal. A little before nine this morning, I was on a train heading for Venice. My friend Jill lives there and invited me to come up for the weekend. It is the first time that I have gone anywhere alone in a long time, so I was really looking forward to it. 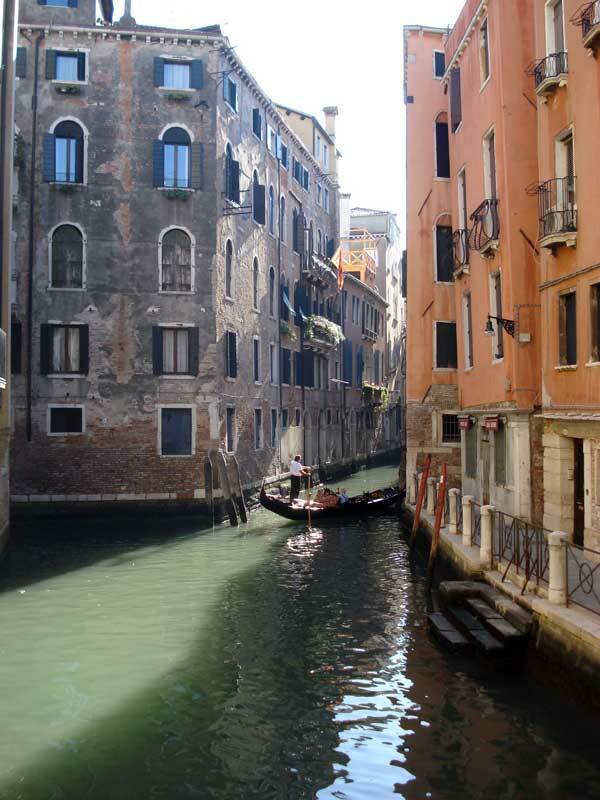 Venice is one of my favorite cities in Italy and I hadn't been in at least a year if not two. I am fortunate enough to sit at my desk and look out at the Arno from my window. Much of the time, I just glance at the Arno when I'm not looking at my computer. At other times, I look up at the Arno and contemplate its color: sometimes it's a murky green and other times a darker grey. A few hours ago, I was working on my computer and when I looked up, I was enchanted by all the colors. I felt impelled to grab my camera and take a picture. While we were on vacation, my avvocato (lawyer) called me to tell me that even if I get a new visto, I will still have to wait for the decreto flussi (quota agreement) and hope that I can fit into the small number allocated to Americans. Last year's decreto flussi was already full, so I'll have to wait for this year's decreto flussi. No one really knows when they will come out although I did hear that possibly they will be announced this month. Our first taste of Naples was sweet. Alessandro's friends showed us the view from above and carted us around to the cleaner areas. I was dying to see what the other side of Naples looked like. 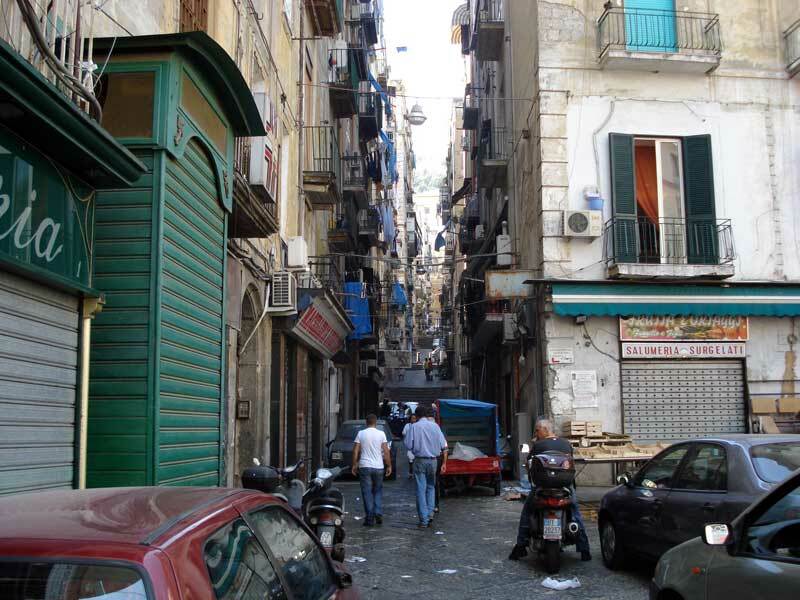 The Naples that I feared and resisted. The first thing we did was walk next door to the Museo Cappella Sansevero (Sansevero Chapel Museum) where we saw "The Veiled Christ." We didn't initially plan on visiting Naples. I had always wanted to go to Naples, but never wanted to go alone. 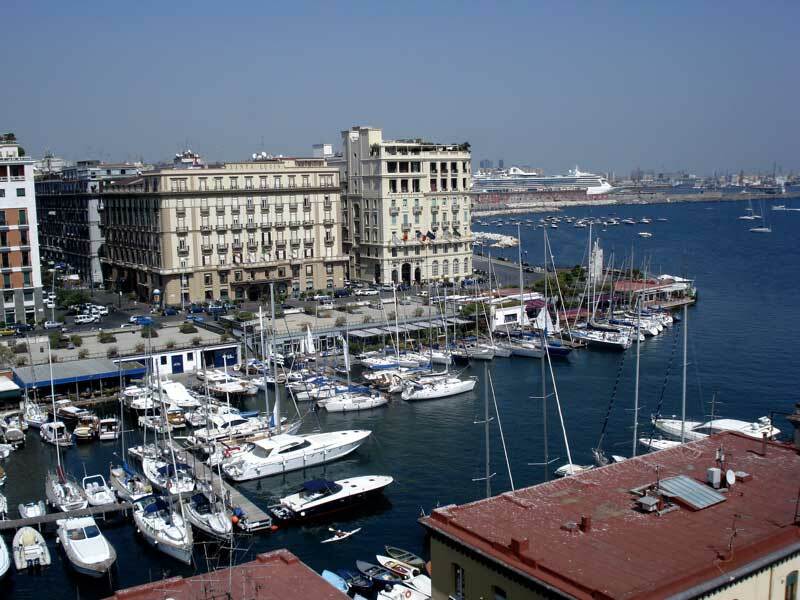 I had heard so much about Naples, and not much very positive, that I tended to think it wasn't a place that I would like to visit. And, after our quick taxi ride from the train station to the porto (harbor/port) earlier in the week, I didn't think I'd like it at all: it seemed dirty and chaotic.